San Francisco, A big company of internet search engine, Google has introduced its first Android smart phone against iPhone and the company gave it the name of ‘Pixel’. The company has released the two models, Pixel and Pixel L and they have the difference of size and screen resolution. Pixel smart phone has 5 inches screen and display of 1080 while Pixel L has screen size of 5.5 inches an. HTC mobile company manufactured these two models but Google did the designing and innovation of the mobile phones itself. Both models of Pixel phone run on Snap Dragon 821 and they support the Day Dream Virtual Reality platform, which Google has already made the announcement. Pixel is the first smart phone of the world, which has Google Assistant, who runs with voice and it works under it. Although there are rumors of the feature of 360 but Pixel and Pixel L has the back camera of 12.3 MP and one pixel is about 1.55 micrones. According to Google, this is the only one camera, which has least catcher timer in the world. It is equipped with Jairoscope to make the even video and it keeps it smooth if the camera is moving. 4 hours through pixel software. Pixel and Pixel L have the batteries of 3450 mAh and 2770 mAh respectively. It is also added with 4 GB RAM, 4.2 Bluetooth and 32 and 128 GB storage in this smart phone. For the Virtual Reality experiences, Day Dream VR Head set has the price of 80 dollars, which is used for Google pixel. 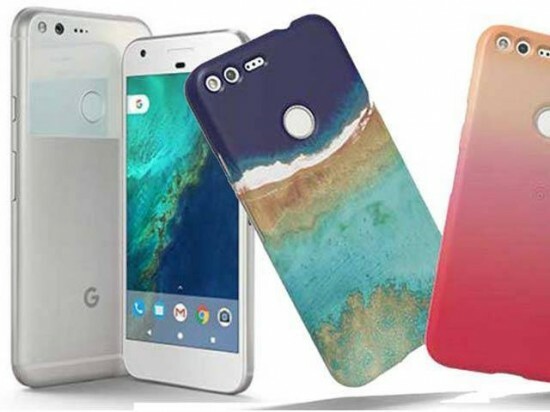 The smart phones of Pixel and Pixel L with different configurations have the price of 75,000 to 87,000 PKR and it is available in three different colors.